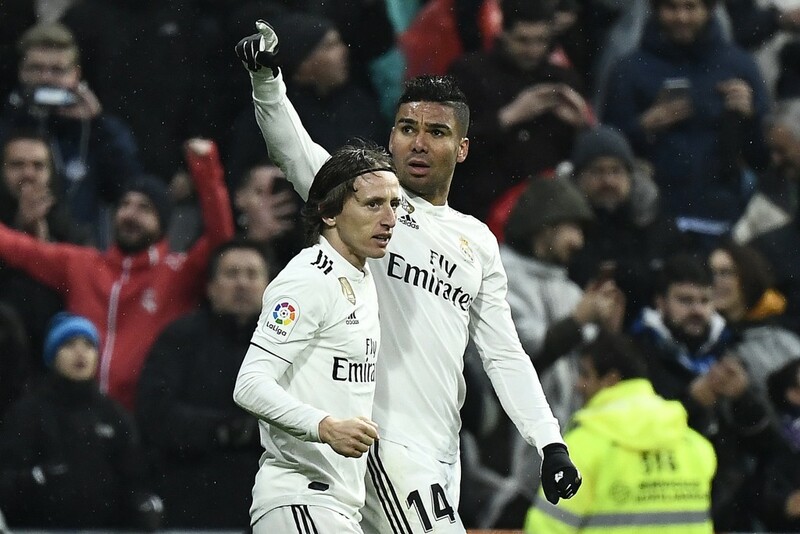 Real Madrid bounced back from their midweek defeat to Leganes with a solid 2-0 triumph over top four rivals Sevilla at the Santiago Bernabeu this weekend. Having lost 0-1 to the minnows in the Copa del Rey earlier in the week, the pressure was on Santiago Solari’s men to produce a strong reaction. But, they took a while to get going as the first-half passed without any major incident, apart from a nasty collision between Luka Modric and Franco Vazquez. It was a little after the 70th minute mark when Real Madrid threatened the Sevilla goal as Dani Ceballos struck the crossbar with a fierce effort. Soon after though, Los Blancos were 1-0 up, courtesy of a thunderous strike from distance by Casemiro. The visitors weren’t able to offer anything in response and Modric then went on to put the result beyond any doubt, stabbing the ball past Tomas Vaclik in injury team to seal three points and send Real Madrid into the third position in the table. And here is how Solari’s men fared on the day against the Andalusian outfit. The Belgian was rushed back into action after having just recovered from an injury issue, owing to Keylor Navas picking up an injury. His lack of match fitness showed at times, but he was hardly made to work by Sevilla. Made a good stop against Sergio Escudero. A typical performance filled with energy and running from the Spanish full-back as he ran up and down the right flank, helping in attack while staying alert defensively. His forward forays often created space for Lucas Vazquez to run into, while one run after the break could have led to a penalty. The World Cup winner looked a lot more solid than he has been in recent matches. 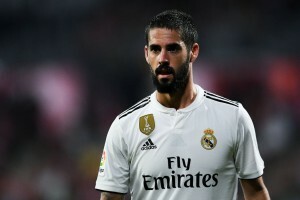 His pace allowed Real Madrid to get out of a couple of sticky situations against the dangerous duo of Andre Silva and Wissam Ben Yedder. Should look to build on that display. 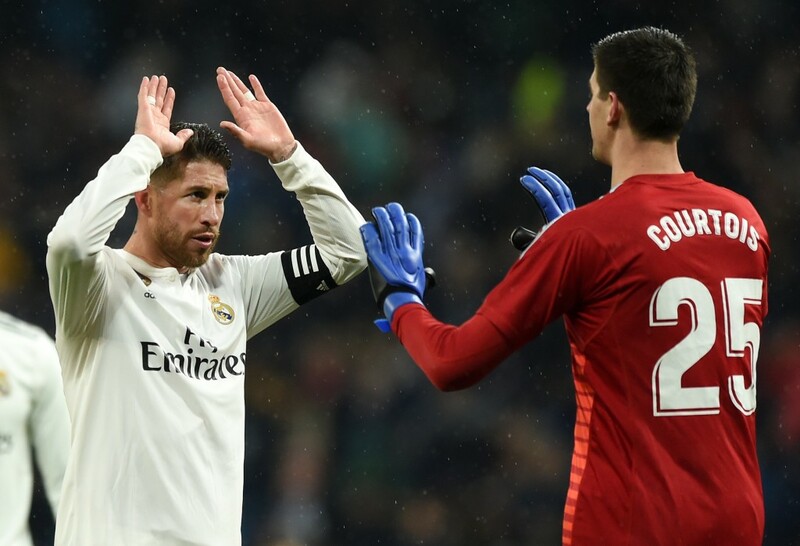 Back into the starting XI after sitting out of the cup tie, the Real Madrid captain put in a reliable display at the heart of the defence against the Andalusian side. Showed good aggression and awareness to step out and nip any counters in the bud. Roved forward to help out in attack every now and then. Preferred over vice-captain Marcelo at left-back, the young academy graduate repaid the faith of the manager with another calm and cool-headed performance. Did his bit to nullify the threat of an in-form Jesus Navas and chose his moments well to join up in attack. Another encouraging display. The Ballon d’Or winner is finally looking to be getting back to his best this season. Started out with a few erratic passes, but soon got into his groove and kept Real Madrid ticking with crisp distribution and attacking intent from the middle of the park. Capped off the display with a well-taken goal late in the game. The Brazilian worked hard in the first period to keep the Sevilla midfielders at bay and helped his backline cut out a number of moves from the visitors. Started getting involved more and more in attack after the break and broke the deadlock with a peach of a strike from 25 yards out. Booked. An impressive performance that will have done his confidence a world of good. The former Real Betis midfielder showed great work-rate off the ball and was always available to help the young Reguilon in defence, while looking to drive his team forward each time he was in possession. Came close to opening the scoring with a sumptuous strike that bounced off the crossbar. Booked. Brought straight back into the starting XI after serving his one-match ban, the Spaniard looked positive and took on his man each time he was on the ball, but the end product was very disappointing. Worked hard without the ball, but lacked the cutting edge in the final third and was the first one to be subbed off as Madrid searched for a goal. Playing with a fractured finger, the French striker did not offer much of a goal threat on the day, but was sharp in his link-up play in and around the area. Was involved in a couple of nice moments with Vinicius Junior, but was in general well marshaled by the Sevilla defence. The teenage wonderkid had more touches than either of Benzema or Vazquez on the night, highlighting how important he has become for Real in the final third. Threatened on a couple of occasions, but was let down by his finishing. An exuberant display filled with intent from the Brazilian, but needs to work on his composure and finishing. Came on for Vazquez with less than fifteen minutes left on the clock. Subbed on in place of Ceballos in the 88th minute.